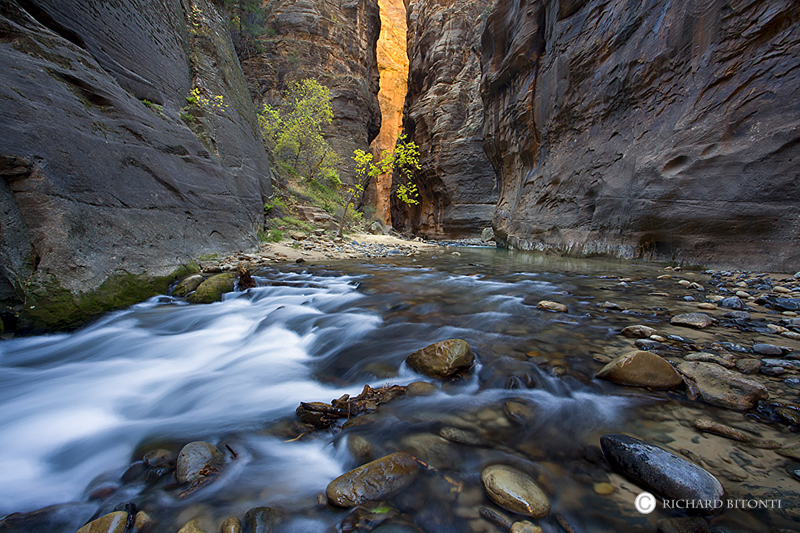 An intense glow of reflected light blankets the steep, narrow walls of a remote area of Zion National Park. The North Fork of the Virgin River (aka "The Zion Narrows") is probably one of the most legendary canyons to hike in all of Zion National Park, if not the World. Photo © copyright by Richard Bitonti.